Rubicon Express has released its new direct bolt on replacement Heavy Duty Jeep® Rubicon Driveshaft featuring a 1350 CV joint. You no longer need to replace the transfer case yoke or use an adapter when replacing your driveshaft after lifting your Jeep® Rubicon. This Heavy Duty Jeep® Rubicon driveshaft is featuring 32 degrees of movement at the CV and a 1330 greasable slip yoke at the axle. This Rubicon Express driveshaft is made with heavy duty greaseable u-joints and heavy wall tubing for extra strength. This New Heavy Duty Jeep® Rubicon Driveshaft, will give you the advantage you are looking for when lifting your Rubicon Jeep® without voiding your factory warranty. 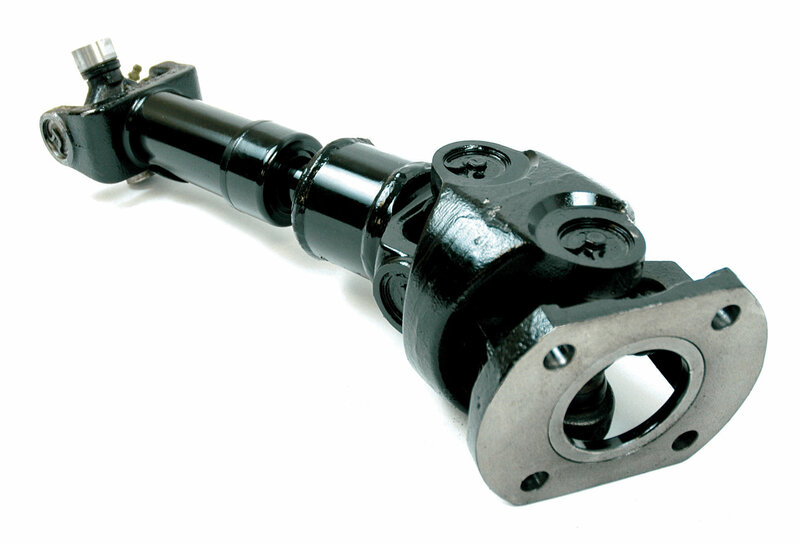 Direct, bolt-on CV driveshaft for Jeep® Rubicon model TJs. Featuring 1330 and 1350 u-joints. The 17.5" length driveshaft is designed for use with the Rubicon Express TJ short arm suspension systems. Upper Adjustable are required for proper pinion angle alignment on short arm suspensions.